A descendant of Bizen sword makers, New York-based emerging artist Miya Ando was raised among sword smiths tuned Buddhist priests in a temple in Okayama, Japan. Ando is half Japanese and half Russian-American and grew up bilingually within two distinct cultures, spending her childhood between Japan and Northern California. She received a bachelor’s degree in East Asian Studies from the University of California at Berkeley, and attended Yale University to study Buddhist iconography and imagery. After university, she apprenticed at the master metal smith Hattori Studio in Japan and in 2009 did a residency at Northern California's Public Art Academy. Combining traditional techniques of her ancestry with modern industrial technology, Ando skillfully transforms sheets of burnished steel and anodized aluminum into ephemeral, abstract paintings suffused with subtle gradations of color. 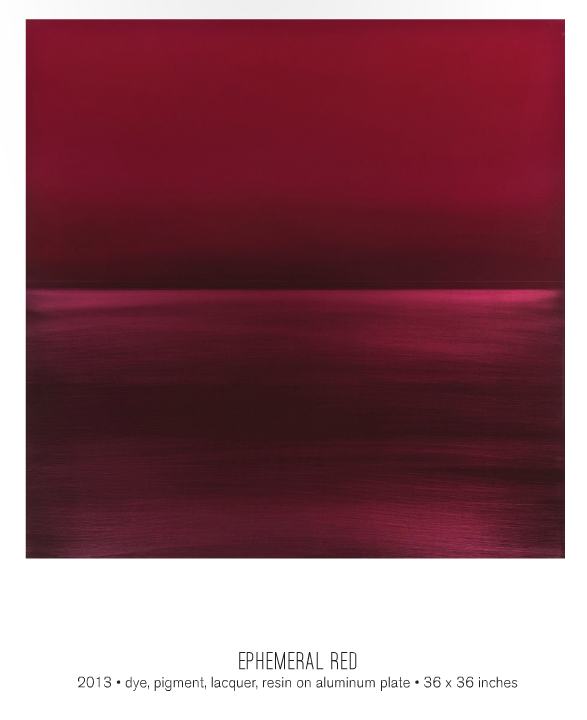 Miya Ando is the recipient of many awards, including the Pollock-Krasner Foundation Grant in 2012. Her work has been exhibited extensively all over the world, including in a recent show curated by Nat Trotman of the Guggenheim Museum. Miya Ando has produced numerous public commissions, most notably a thirty-foot-tall commemorative sculpture in London built from World Trade Center steel to mark the ten-year anniversary of 9/11. She lives and works in New York.